Office of Compliance and Enforcement is responsible for the Commission’s Gas Pipeline Safety Program. 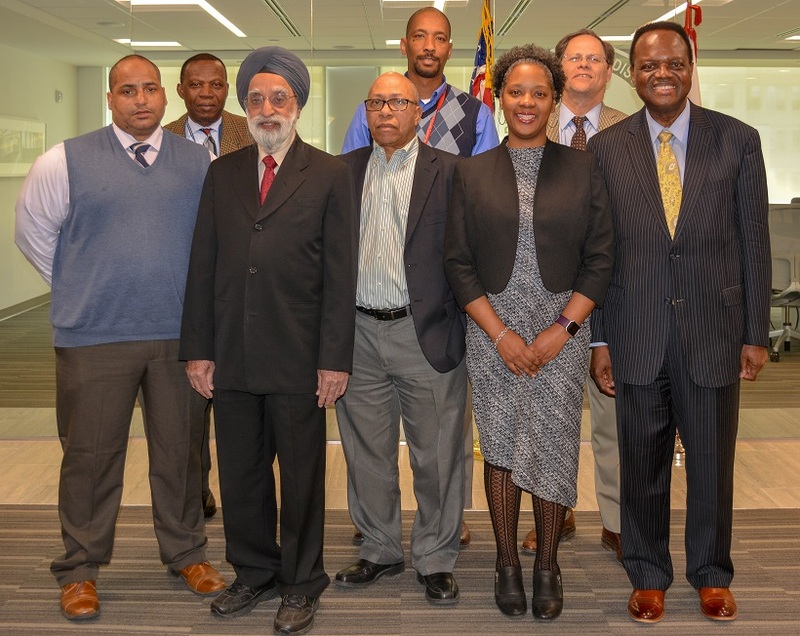 (L to R) Damage Prevention Inspector James Modozie, Compliance and Enforcement Officer Donald Jackson, Chief of the Office of Compliance and Enforcement Udeozo Ogbue, Program Support Specialist Anjanette Parker, Pipeline Safety Engineer Amrik Singh Kaisth, Pipeline Safety Engineer Ahmadou Bagayoko, and Pipeline Safety Engineer Manmohan Singh. Not pictured Compliance Inspector Damon Patterson. 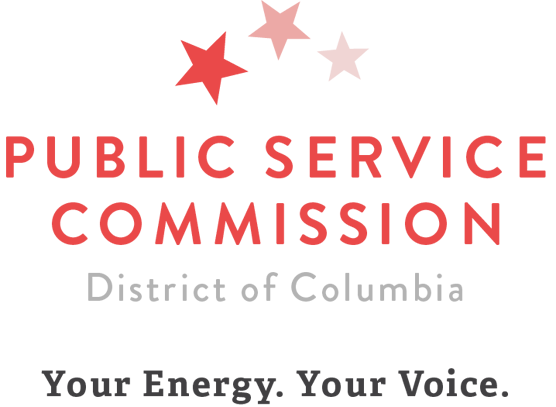 The Public Service Commission of the District of Columbia (Commission) received a 100% rating for its implementation of the District’s CY 2015 Natural Gas Pipeline Safety Program from the U.S. Department of Transportation's Pipeline and Hazardous Materials Safety Administration (PHMSA). The Commission provides oversight of intrastate natural gas pipelines in the District through annual certification and partial funding by PHMSA. Each calendar year, PHMSA’s State Program Office reviews and scores the State Commission’s Annual Pipeline Safety Certification and Progress Report. Through the Progress Report Review, the PHMSA State Program Office verifies that minimum requirements established by PHMSA are met by the Commission. As in previous years, the DC Commission’s Office of Compliance and Enforcement scored 100% on the 2015 Progress Report. PHMSA also conducts the Annual Performance Evaluation of the pipeline safety program procedures, records, field activities and inspections of the Commission’s Gas Pipeline Safety Program. The Commission’s Office of Compliance and Enforcement also scored 100% on PHMSA’s Annual Performance Evaluation of the pipeline safety program procedures, records, field activities and inspections for CY 2015. With the Performance Evaluation result (100%) and the Progress Report score (100%), the DCPSC received the overall score of 100%. Dr. Udeozo Ogbue, P.Eng., Chief of the Office of Compliance and Enforcement and Program Manager of the Pipeline Safety and Damage Prevention, states: "I wish to thank and congratulate our Pipeline Safety Engineers/Inspectors, Damage Prevention Inspector, Compliance and Enforcement Officer, and all OCE Staff for this accomplishment. I also wish to thank Chairman Kane, Commissioner Fort, Commissioner Philips, Executive Director Veronica Ahern, OTRA Deputy Executive Director, and our Office of the General Counsel Attorney Advisor/Liaison for their unflinching support and encouragement of OCE’s efforts. We are intensifying our efforts to help keep the District safe from the hazards of natural gas transportation and working hard to repeat this stellar, high-bar performance for CY 2016." Promoting natural gas pipeline safety and excavation damage prevention through public education and communication programs (in collaboration with the Office of Consumer Services). Please visit the Commission website at www.dcpsc.org for more information about the Commission’s Natural Gas Pipeline Safety Program.